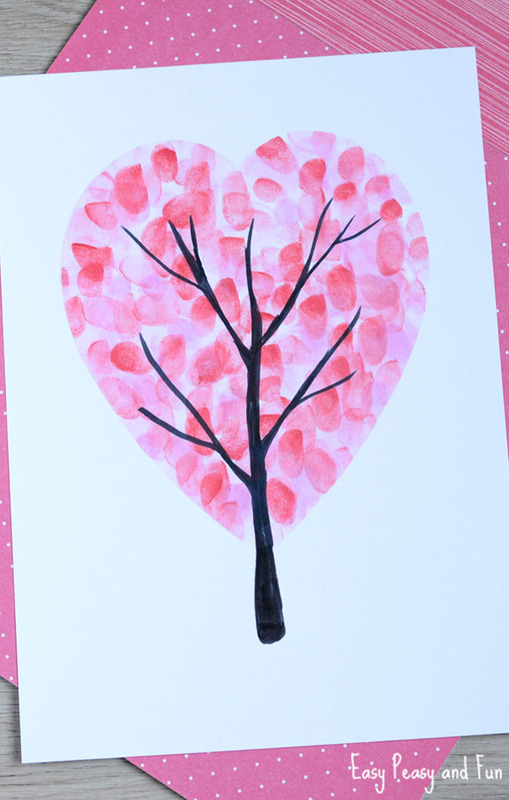 You are here: Home / Blog / 25+ amazing Valentine crafts to try right now! 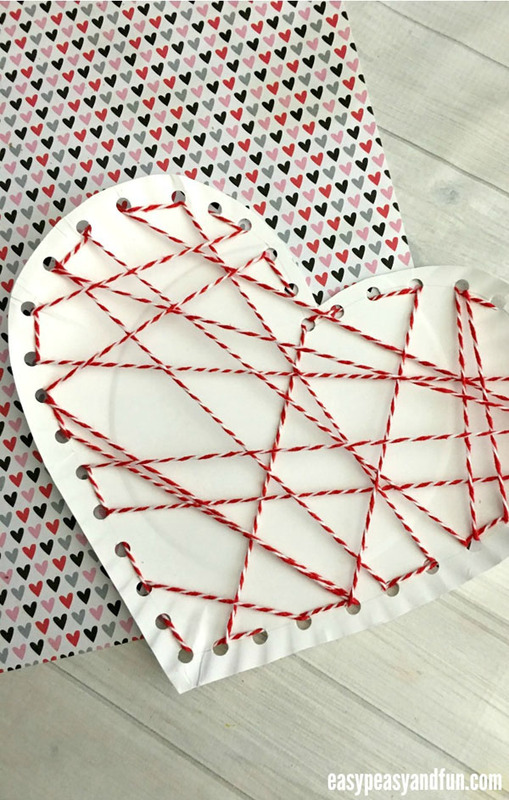 25+ amazing Valentine crafts to try right now! 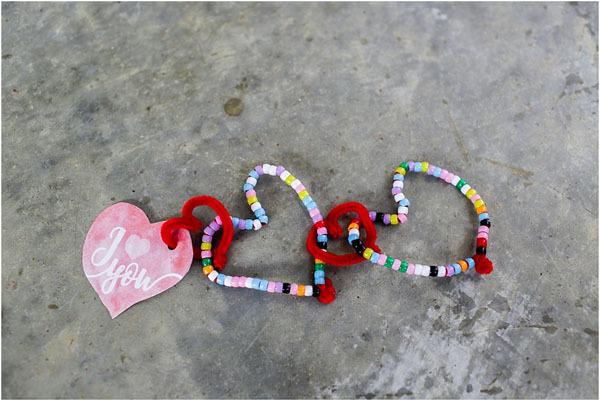 Valentine’s Day is the perfect time of year to get crafty, don’t you think? 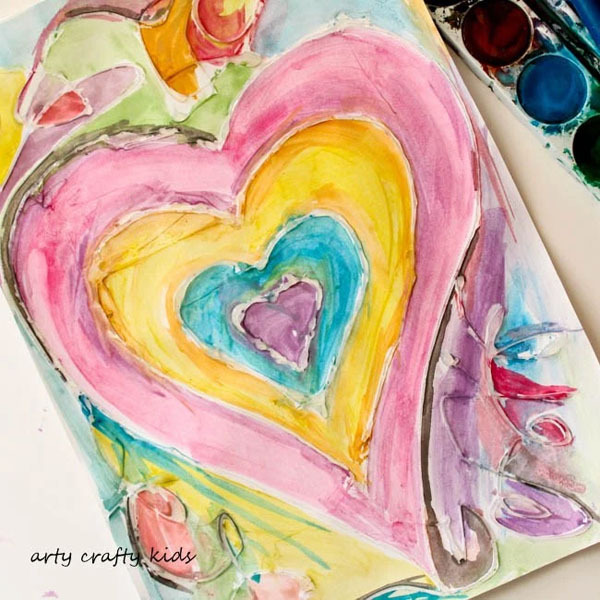 With all that extra lovey-dovey stuff going around, it’s a great time to create gifts or just craft for fun. 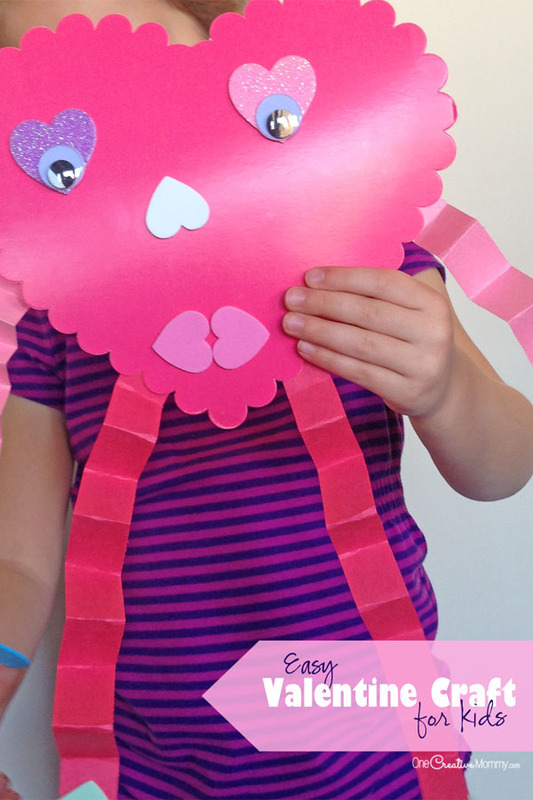 To help you and your family get crafty this season, I’ve collected 25 of the cutest Valentine crafts for kids! I’ve collected ideas from talented bloggers all over the web (and a few from One Creative Mommy). Be sure to visit their sites to find out how to create these fantastic projects. Time to get crafting! 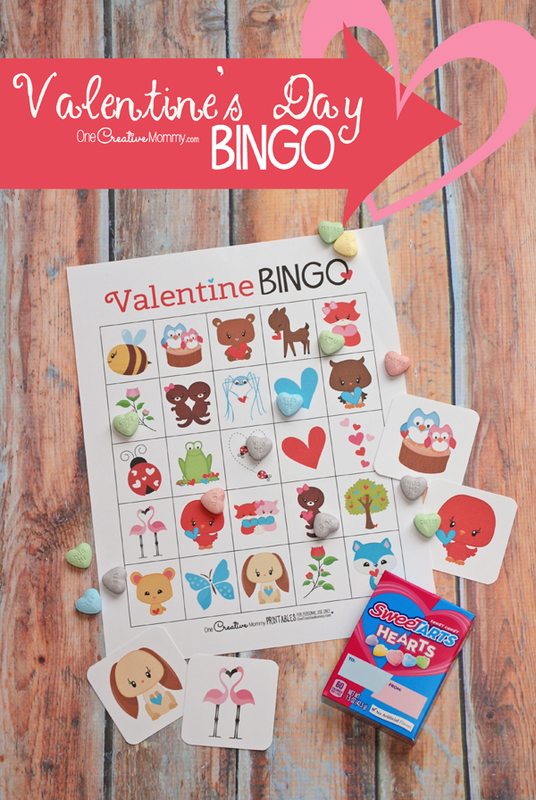 If you don’t have time for crafting, but you still want to have some “heart-felt” fun (pun intended) with the kids, be sure to check out these adorable games. Thanks for stopping by today. Be sure to check out more great ideas by clicking on the images below. 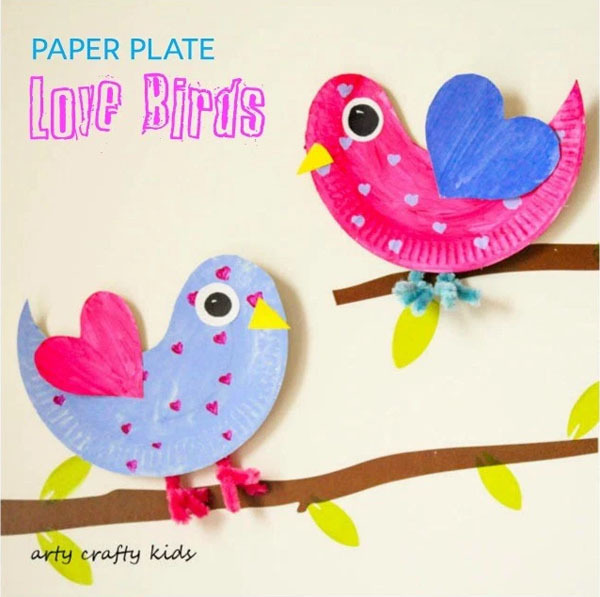 What great little craft ideas. I love doing Valentine’s day with my card class. They love it too! Thanks, Lozzy. What’s a card class? 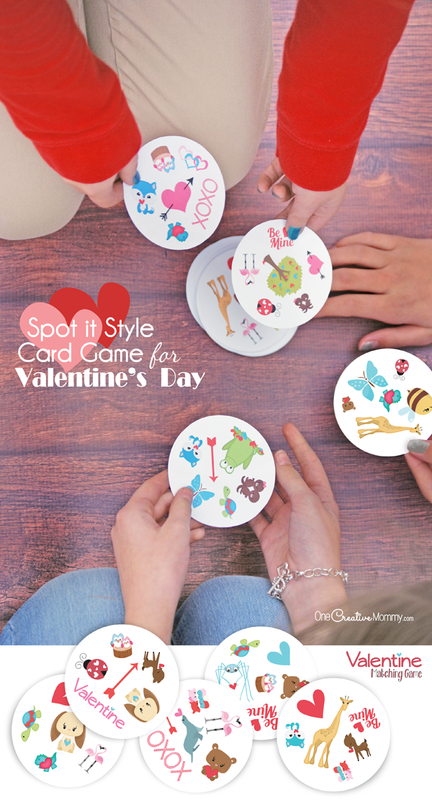 Do you get together to create greeting cards? I used to make Stamp It Up cards. It was so fun! 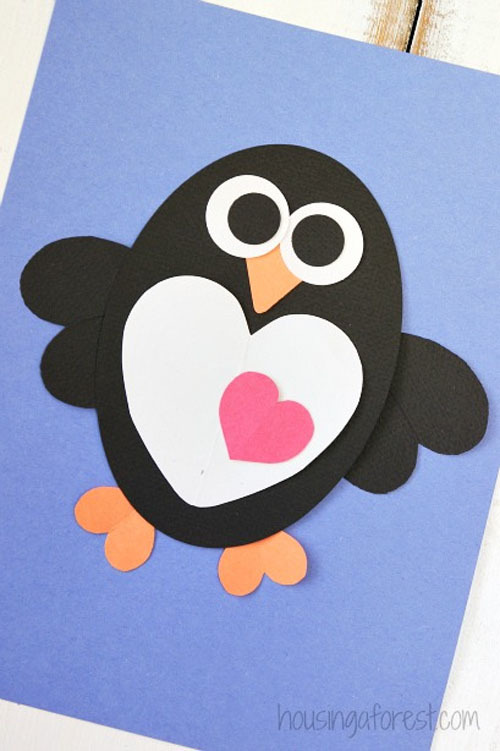 So Card class, is a where I have a group of children come round to my house, and I show them how to make crafts and greeting cards. By any chance do you mean the company Stampin Up, as I use them too! Yes, I mean Stampin Up. Oops! It’s been a long time since I’ve stamped. I bet the kids love your class! 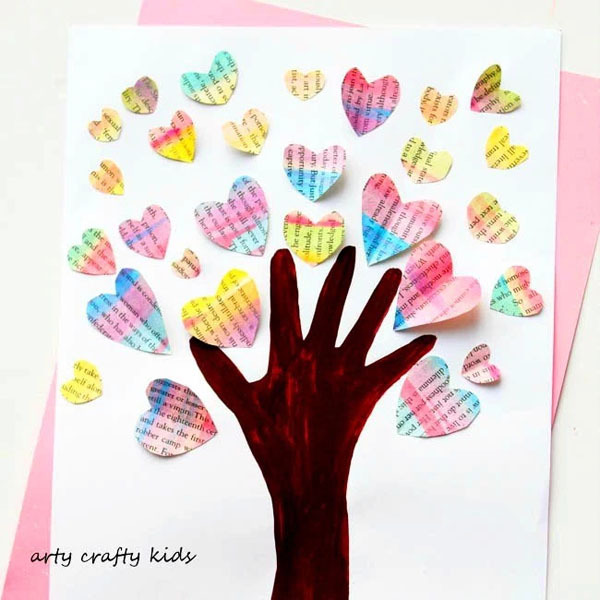 Love some of these ideas especially the hand tree ones. Will be trying them with my little boy! Thanks, Doodle As I Do! 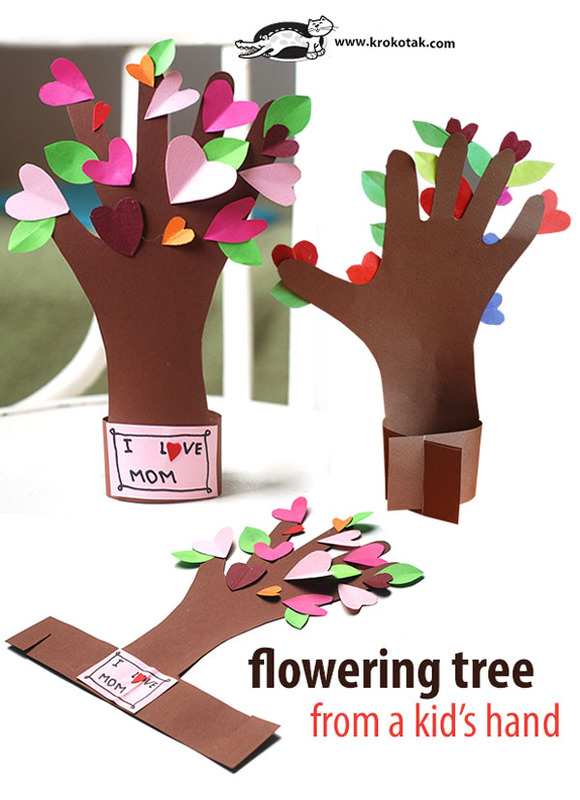 I love those hand tree ideas, too. One of them is from my own blog, but now I have to try the others! I’m glad I found this. 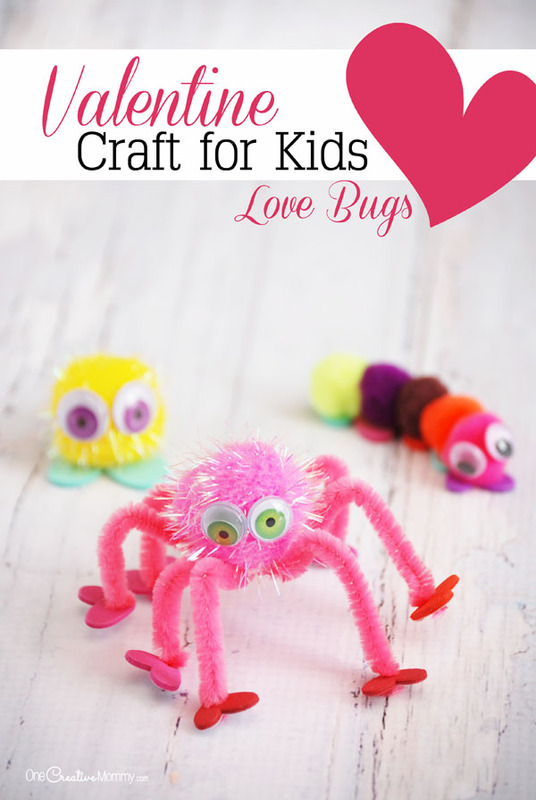 I’ve been looking for cute crafts to make with my kids. 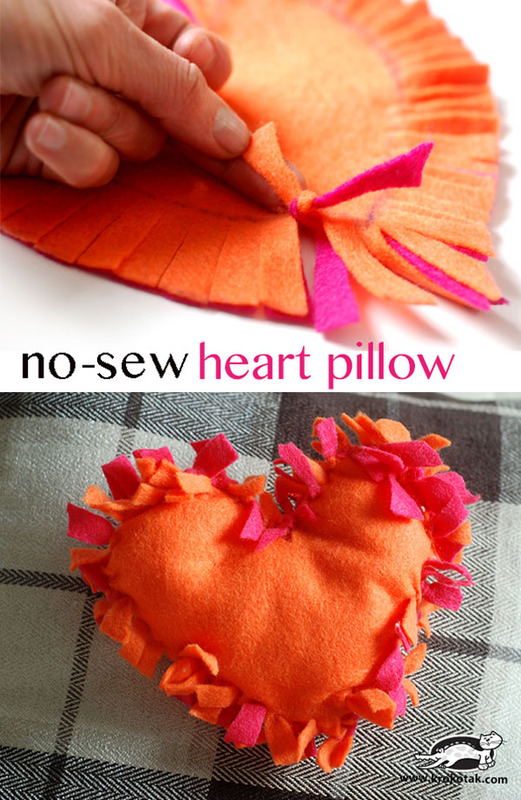 I love the love bugs and no-sew pillow! Thanks, Tyane. The love bugs were a lot of fun, and I’m excited to try the pillows, too. My daughter has done some of these but there are some she hasn’t yet. She’d love to try them out! I hope you and your daughter have fun crafting together, Amber. It’s so fun to see what the kids create. 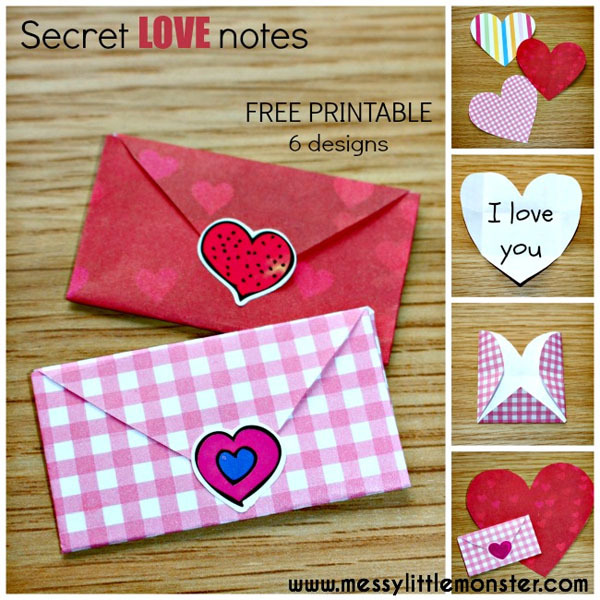 Love love love these ideas! Especially the paper plate bags. Could try that with other things too! Thanks, Ramya. Those paper plate bags are clever. I bet you could make them for any holiday. Thanks, Wendy. Those plate bags do look fun. 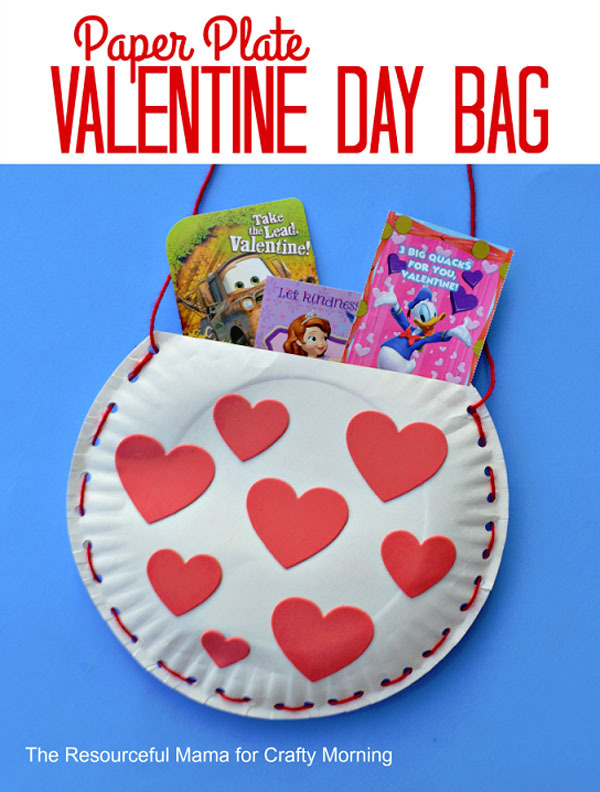 If you need more ideas for valentine boxes, be sure to check out my Valentine box roundup! 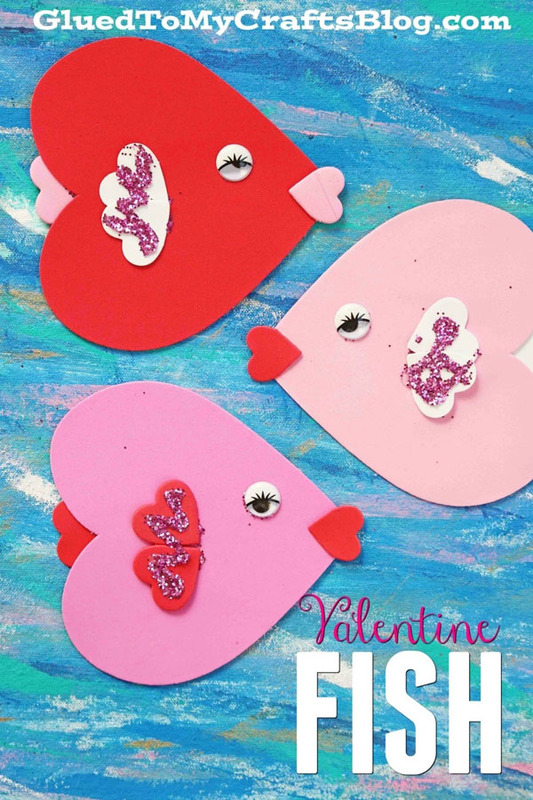 Aww the Valentine’s Day fish and the love tree are my favorite! Thanks, Lauren. Aren’t those love fish adorable? 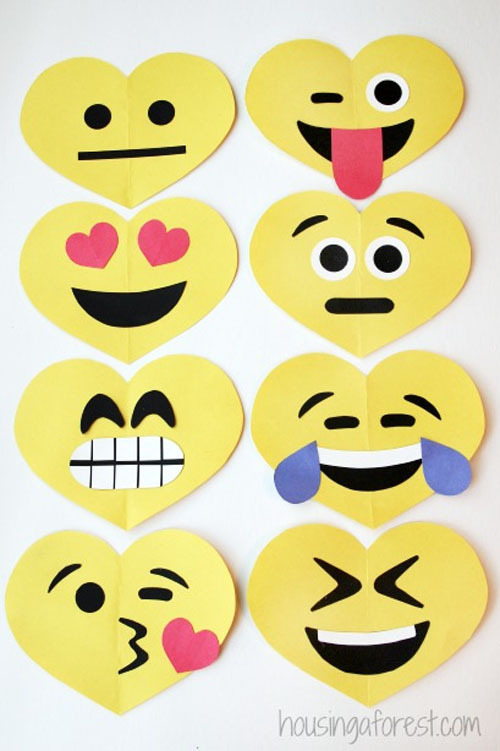 I need to pull out my foam hearts and make some with my kids. Thanks, Josselyn. Those trees are one of my favorite crafts, too. 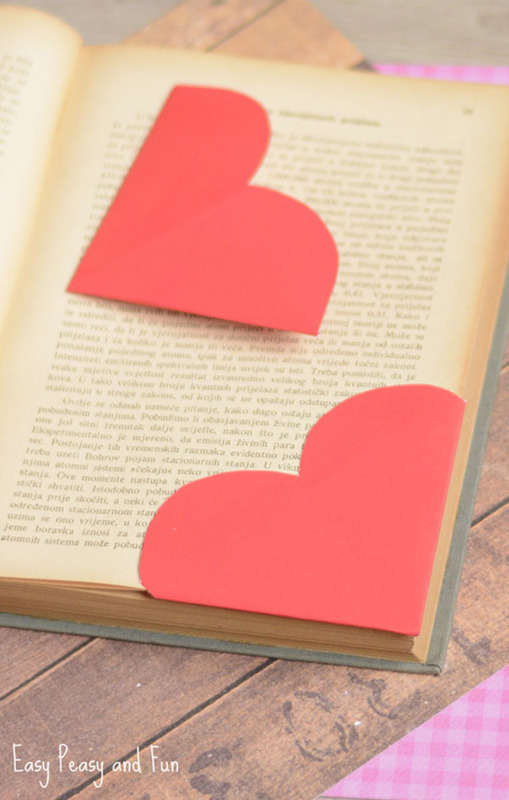 I love that the hearts are made from pages. 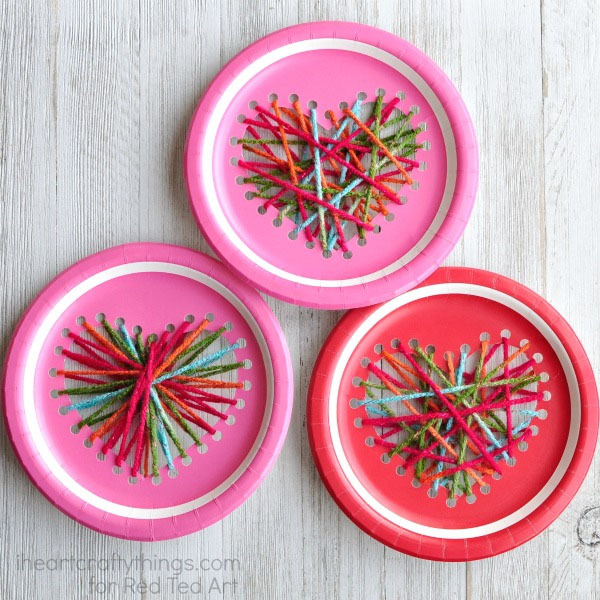 You can never have enough Valentine’s Day crafts to do with your kids! I am loving all of these ideas! I’m sure any kid would be excited to make these. Thanks, Carol. It’s true. 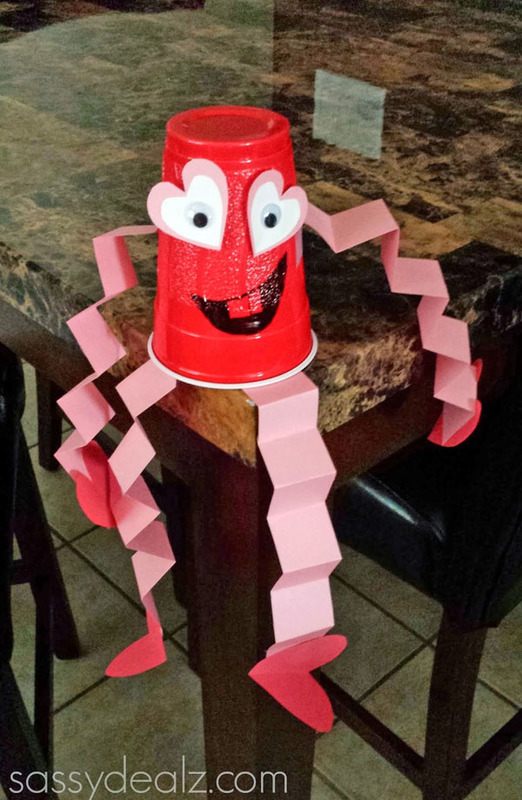 You can never do too many crafts with your kids. It’s not like you can spoil them by spending too much time with them! Thanks, Elizabeth. I hope you do try one with your kids! They’ll love spending time with you, I’m sure. 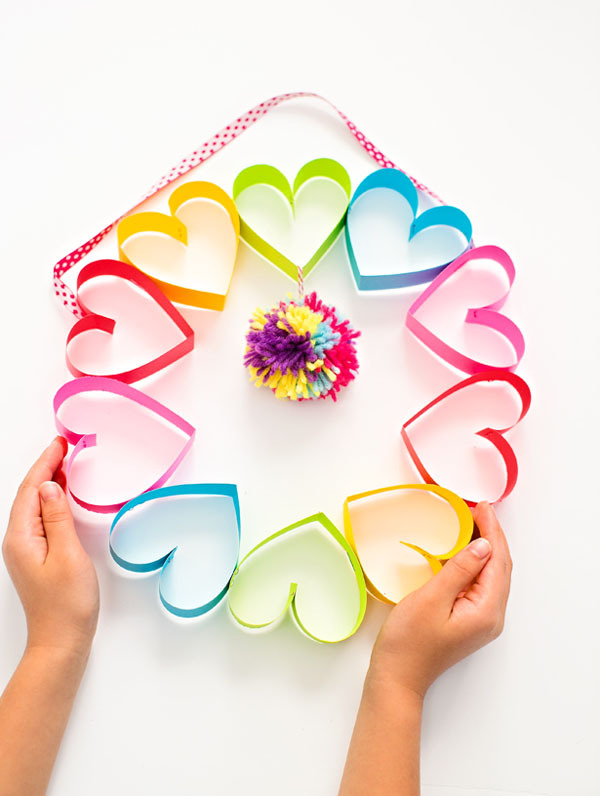 Making crafts with the kids is a great way to get them excited for the occasion! I think these are all fun ideas! I miss making crafts with my twins! Thanks, Elizabeth. It’s sad when the kids get too old to craft. I guess then we have to wait for grandchildren! I´m in love with all of them! they are so cute <3 I can´t wait for valentine´s day tp surpreise my husband! Thanks, MaryAnne. I hope you have a fun surprise planned for your hubby. I’m working on mine already. 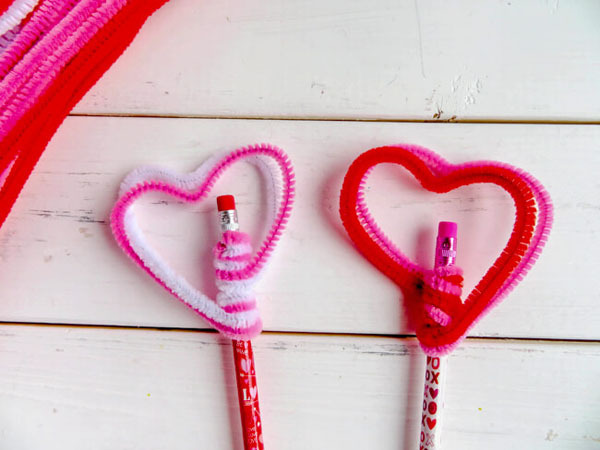 These are the cutest crafts I have ever seen! I will be showing my daughter the heart bookmarks. 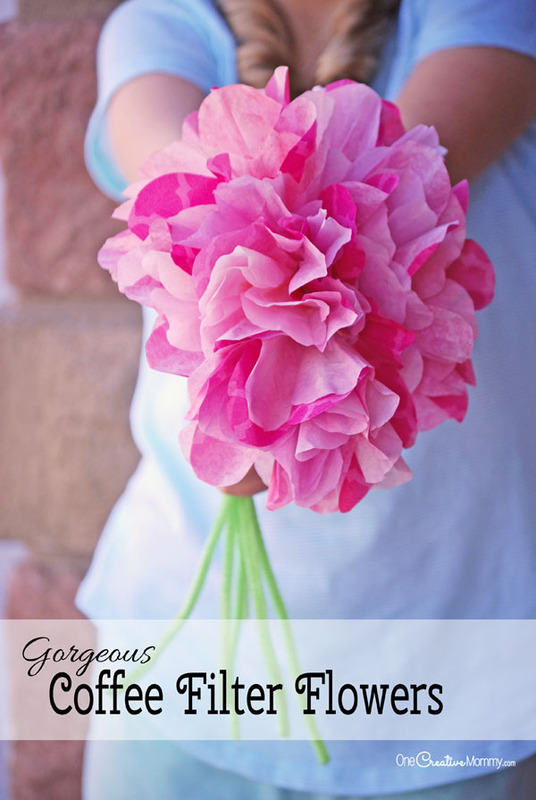 She will love to make those for her and her friends! Thanks, Leah. I love those bookmarks, too. 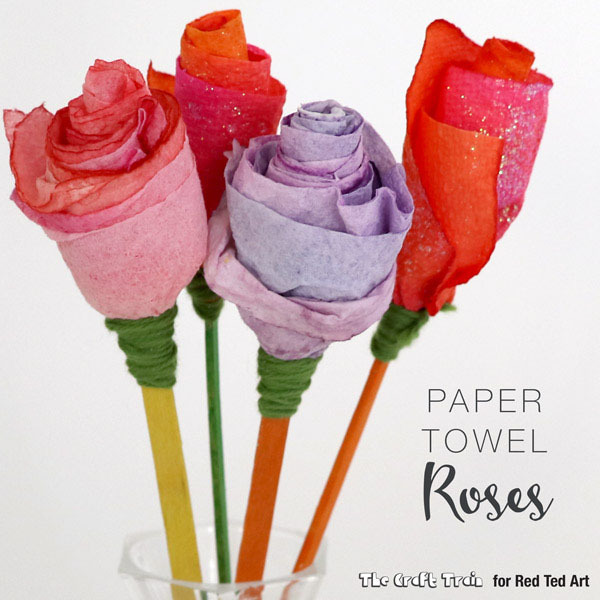 They’re perfect for kids who think they are a little too old to be crafty! Thanks, Audrey. I hope you and your daughter have a great time crafting together! 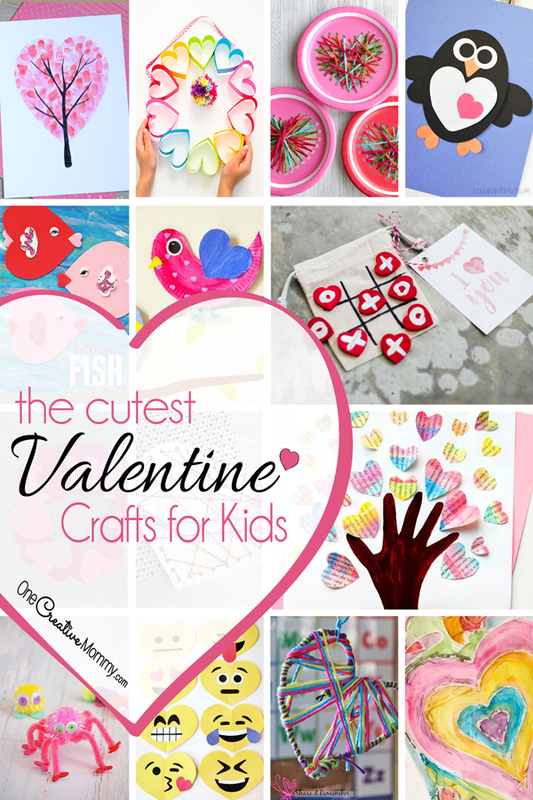 These are all such cute crafts! 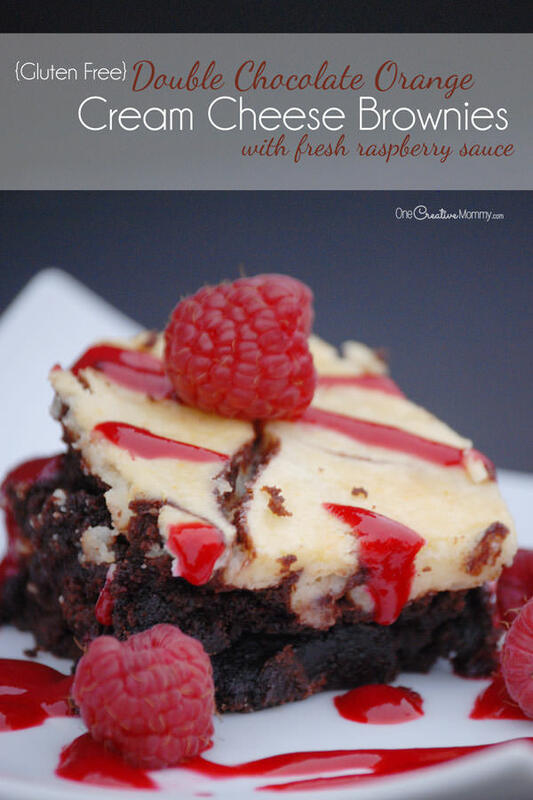 My kids would love to make a lot of these. They love to get creative. Thanks, Robin. You should definitely try some with your kids. Have fun crafting! My kids and I love making holiday crafts. I definitely need to try a few of these! Thanks, Heather. 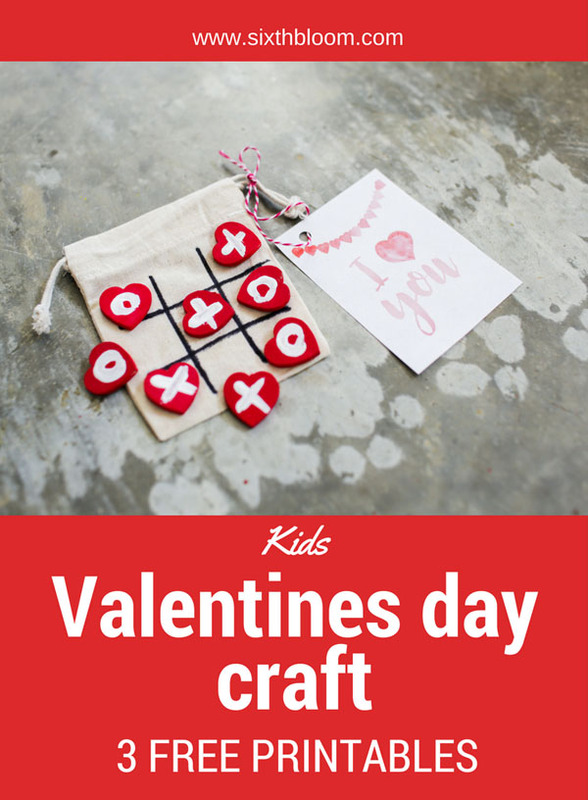 I hope you and the kids have fun trying these crafts together. Lots of great ideas! Definitely plenty of unique valentines to choose from. 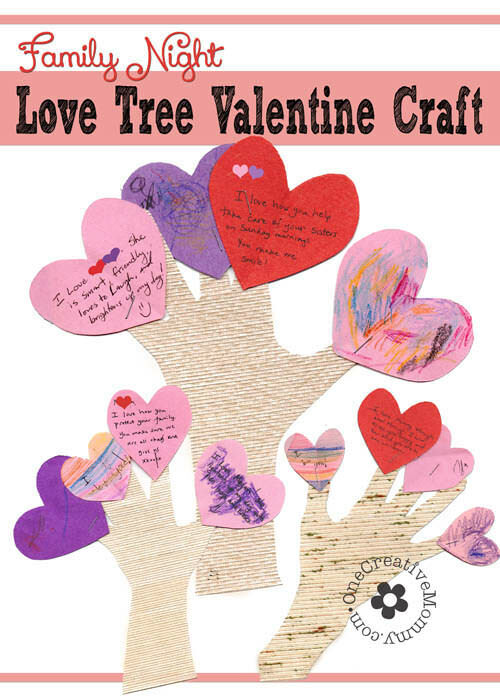 We like spending time to make valentines for school, friends, family, etc. So cute! Thanks, Marysa. 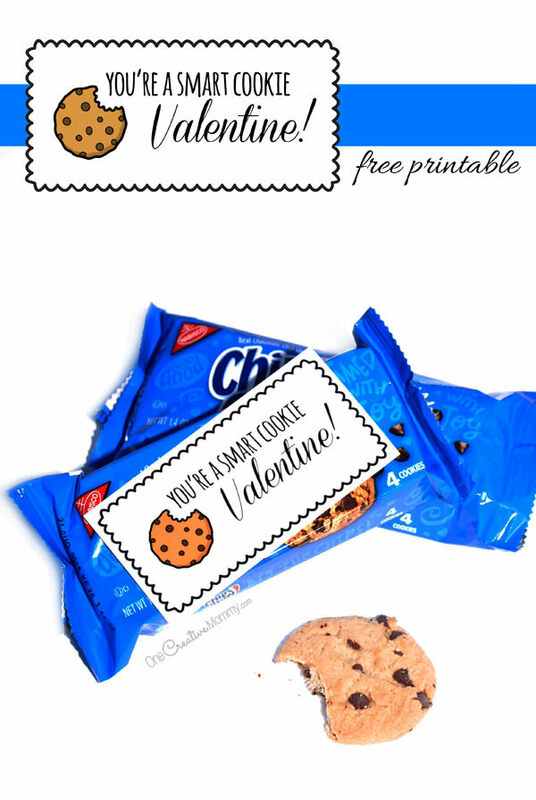 Homemade valentines are so much more fun than the store-bought kind! So many great ideas! I love that I can choose a few that fit both my 4 year old and my 1 year old. Thanks, Samantha. I tried to gather ideas that would work for lots of age groups. 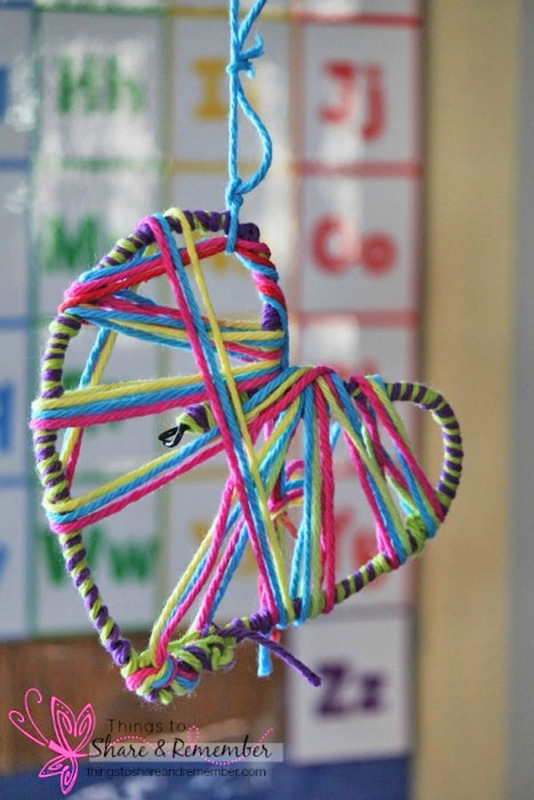 Have fun crafting with your kids! Those are such fun ages — but lots of work for Mom! I remember! My first two were exactly that far apart, too. Sooo many great ideas. Would be fun to one a week all year. Everyone needs a little love all year round right? That’s a great idea, Kristi. You could make it a “Love Project.” I bet your family would have a blast, and lots of people would benefit from the things your make. These are amazingly cute gift ideas. 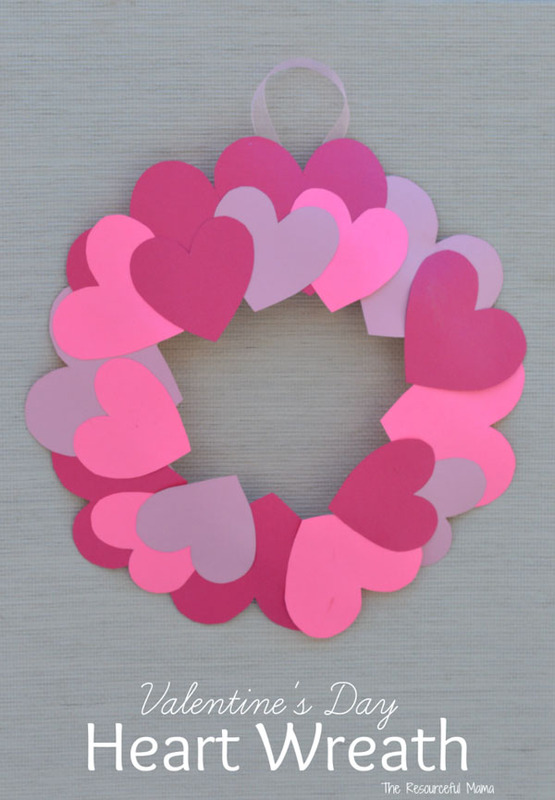 Paper Heart Wreath is the best. However, I love them all. Thanks, Sapana. I loved that paper heart wreath, too. It’s one of my favorites. Thanks for stopping by.